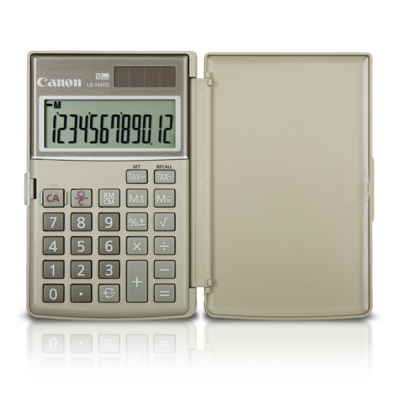 Canon introduces the LS-154TG handheld calculator. 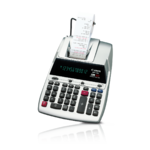 Environmentally friendly, the LS-154TG is made from the recycled materials of Canon copiers, featuring 100% post-consumption recycled plastic upper and lower casings. 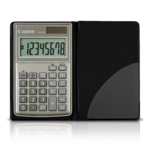 Slim and compact in design, the LS-154TG is solar-powered, with a replaceable battery for longer use. 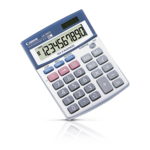 The 12-digit display and numerous commands, including a tax function, make this handheld calculator easy to operate. 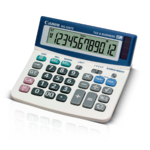 The large LCD display allows you to easily see your computations and a full-rotating protective lid allows this calculator to travel anywhere with you.